Bushido means "Way of the Warrior", Kenkyukai means "Research Society". The mission of Bushido Kenkyukai is self improvement through the study and practice of Japanese and Okinawan Martial Arts and traditions. 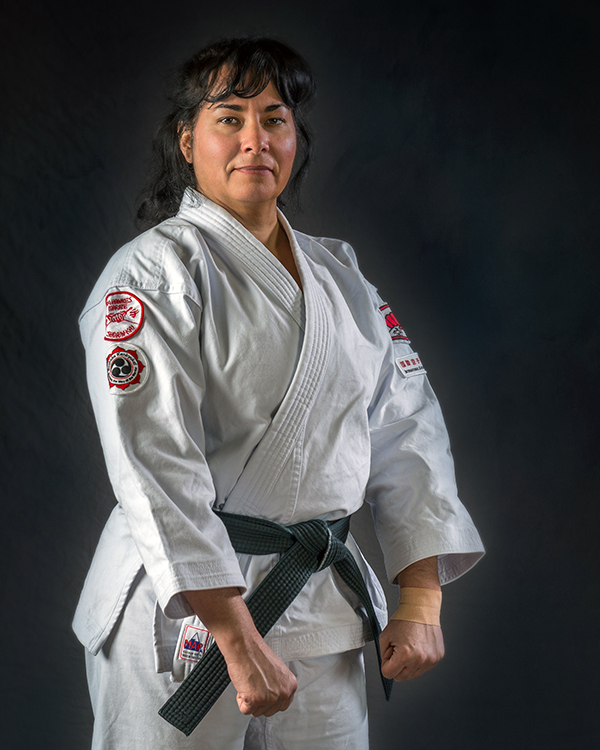 Anita Lee Gallegos has over 25 years of Martial Arts training and is a 5th degree black belt in Shorin Ryu Karate, a 3rd degree black belt in Okinawan Kenpo Kobudō Weapons, and a certified Self Defense Instructor. 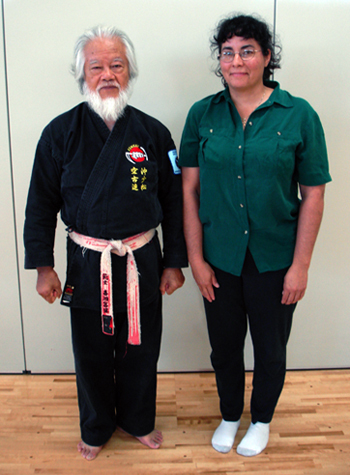 Ms. Gallegos has studied Taiko for over 15 years and has her own Taiko dojo as well as her own taiko performing group. She teaches taiko class for kids and adults. In addition to her regular Taiko training, she has had the great fortune to attended workshops, classes, and/or private training, with some of the who’s who of taiko such as Takeru Matsushita (Yamato – The Drummers of Japan), Grand Master Seiichi Tanaka (San Francisco Taiko), Tiffany Tamaribuchi (Sacramento Taiko Dan), PJ & Roy Hirabayashi (San Jose Taiko), Sawagi Taiko, Kris Bergstrom (On Ensemble), Koji Nakamura (Koji Nakamura, Shumei Taiko Ensemble), Steven Tokunaga (Makoto Taiko), Esther Vandecar (Fushicho Taiko), Ken Koshio (Ken Koshio, Fushicho Taiko), Patrick Graham, Kaoru Watanabe (formally of Kodo), and Kenny Endo (Kenny Endo, Kenny Endo Taiko Ensemble). Currently, she receives ongoing, periodic instruction from world-renowned taiko player, Kenny Endo. In addition Ms. Gallegos makes many of the groups drums. Ms. Gallegos has ties to the Japanese community and was the Cultural VP for the New Mexico Japanese American Citizens League for 4 years and was the Aki Matsuri Program Coordinator for several years. In 2008 the Asian American Association presented her with the USPS Presidential Award for her outstanding service in the Japanese community. She is a lifetime member of the NMJACL and continues to support the Japanese community.